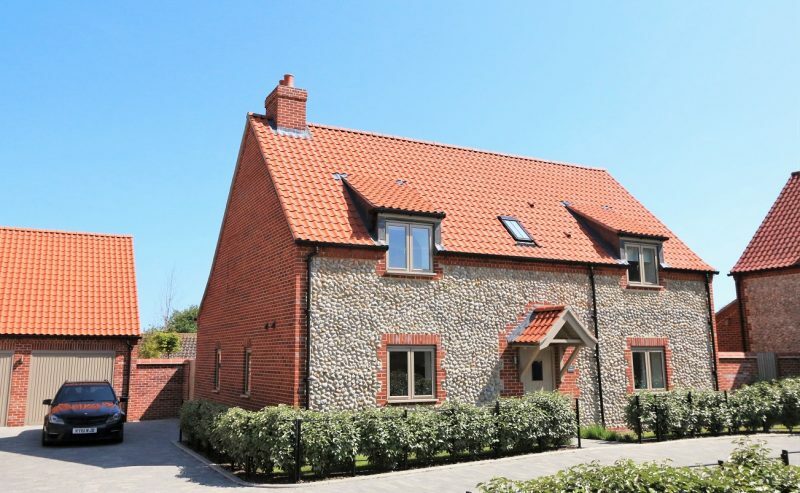 ‘The Marrams’ is a stunning, newly-built contemporary home finished in the traditional Norfolk brick and flint style just 15 minutes walk from Blakeney’s famous quayside and all of the shops and amenities this sought-after Norfolk coastal village has to offer. 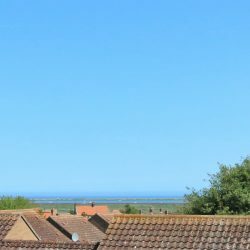 Sea views from the two rear bedrooms highlight the stunning Blakeney coastline! 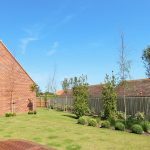 Internally, contemporary design and the high quality finish and furnishings give ‘The Marrams’ a light and modern ambiance whilst retaining the warm, welcoming homely feel that is so important in self-catering accommodation. 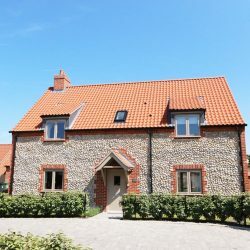 Like all Blakeney Cottage Company properties ‘The Marrams’ offers free WIFI to guests (superfast broadband at this property). There is also a BT landline that guests are welcome to use. The large kitchen / diner is at the heart of the property, running from the front of the house all the way through to the garden. 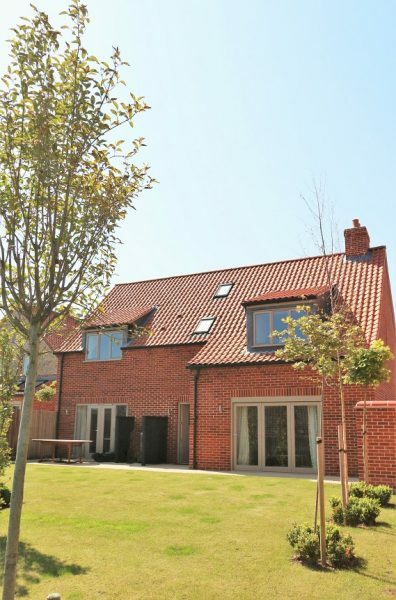 Wonderful full-sized bi-fold doors open from the kitchen / diner onto the pretty, suntrap rear garden. The kitchen itself is stylish and modern; featuring a composite stone worktop and stainless steel bowl sink, brand new Bosch appliances including; induction hob, stainless steel oven, stainless steel combination microwave oven, integrated fridge freezer and integrated dishwasher. There is plenty of storage behind large floor to ceiling cupboards. The dining area features a large, contemporary design, table and chairs comfortably seating eight. Moving towards the rear of the property there are two comfy love seats either side of the bi-fold doors. 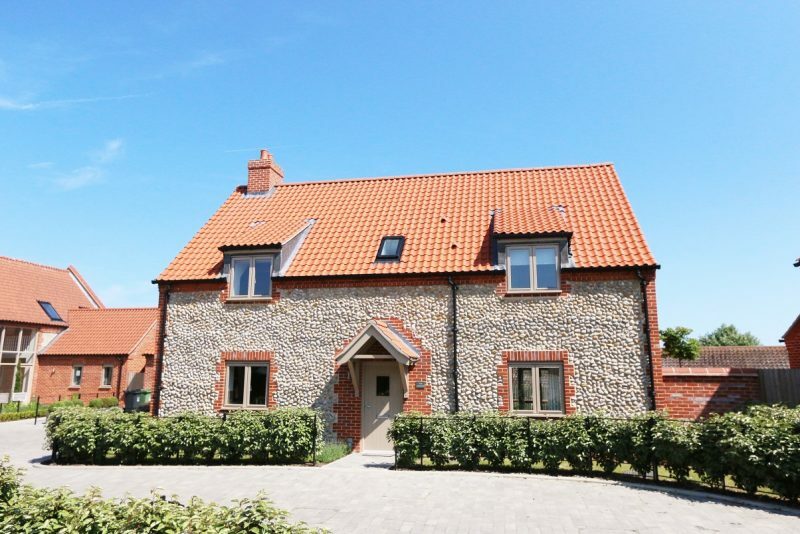 ‘The Marrams’ has a lovely large sitting room ideal for sitting and socialising! A huge L-shaped sofa in the back of the room is a lovely comfy place to relax and a three seat sofa sits next to the French doors that open out on to the patio area. There is an LED TV with FreeView (live pause, BBC iPlayer, ITV Player etc.). The DVD player is ideal for quiet, relaxed movie nights. Just off the kitchen / diner is the small utility room with stylish, modern units, a washing machine and tumble dryer. There is a door from the utility room that opens out into the garden. There is also a WC on the ground floor. Upstairs are four good-sized stylishly-finished bedrooms, one kingsize double with luxurious en-suite shower room and three zip and link rooms which can be made up as either kingsize doubles or twins on request (please give at least 14 days notice). There is also a good-sized family bathroom with a large tub and separate walk-in shower unit. Throughout the house there is a huge amount of storage space in cupboards and built-in wardrobes. 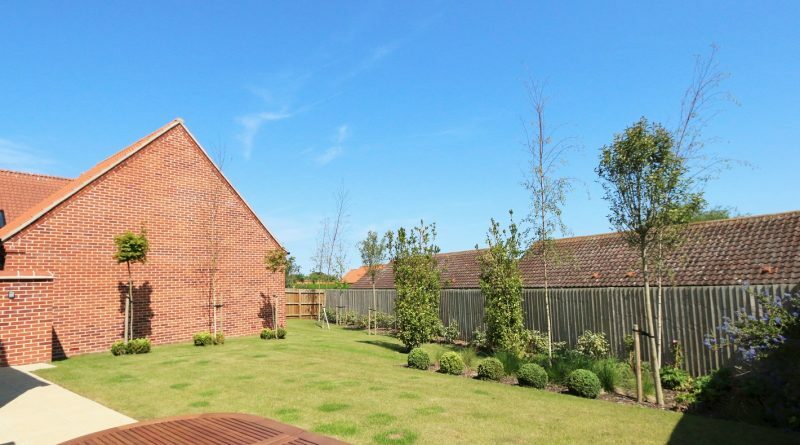 This lovely family holiday home has private parking spaces for up to four cars. 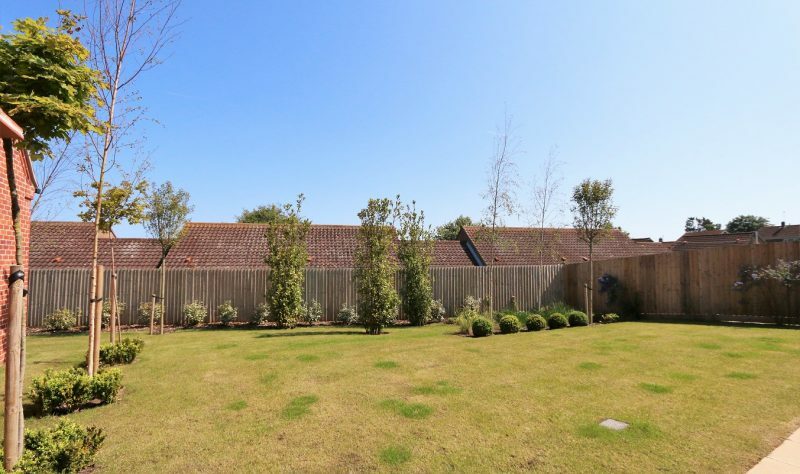 To the rear of the property there is a lovely sunny, fully enclosed garden that affords a great deal of privacy. Both the kitchen / diner and the lounge open onto the patio with ample space for the barbecue as well as an outdoor table (seating 8), parasol and chairs. The grassed area is large enough for younger holiday-makers or dogs to let off steam. Out-of- sight behind the double garage is a large clothes dryer. Tesla chargepoint/Type 2 tethered cable for electric car charging free for normal usage at this property.